Here at Crunchwear, we love bringing you the latest news in the rapidly advancing world of wearable technology. You know what else we love? Partying! Nothing wets our whistle after a hard week reporting on smart watches and virtual reality displays like kicking back with a few friends and getting our groove on. Of course, if technology existed to make our bodies into a party, so anywhere we went we could quite literally bring the ruckus, then all the better. Alas, that tech does not exist. Psyche! It totally does and we are about to tell you about it. Introducing the bassAware Holster, designed by Brooklyn-based inventor Michael White. 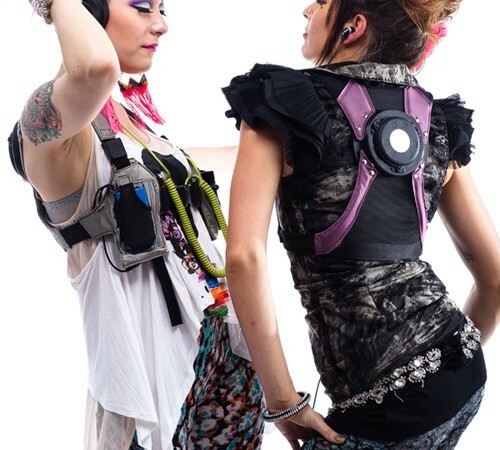 It’s essentially a back harness that uses tactile transducer technology to turn your body into a bass-pumping machine. You know that awesome feeling when you are in a club and the music is so loud that it pulsates, making it impossible to not dance to? That’s the audio experience the Holster seeks to emulate. Even cooler? You can use it with just about any audio device that exists, from proper stereos to smartphones, tablets and even the occasional smart watch. 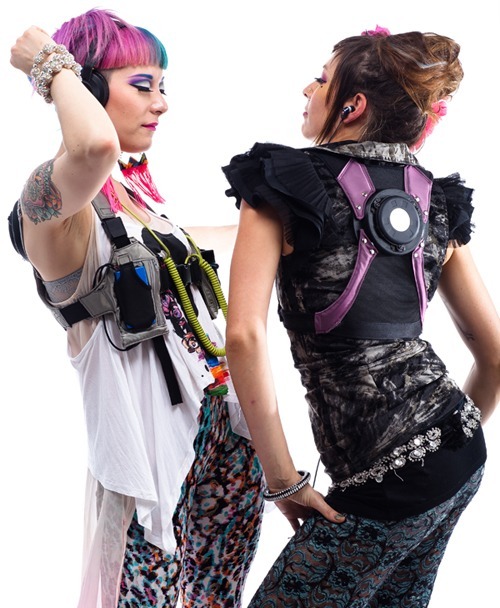 The device is unisex and is designed to fit a myriad of body types. The future is now and it’s totally into partying. Of course, this tech is admittedly strange and, thus, has not received funding to create a commercial product. The creator has headed to the green pastures of Kickstarter to finish up said funding. 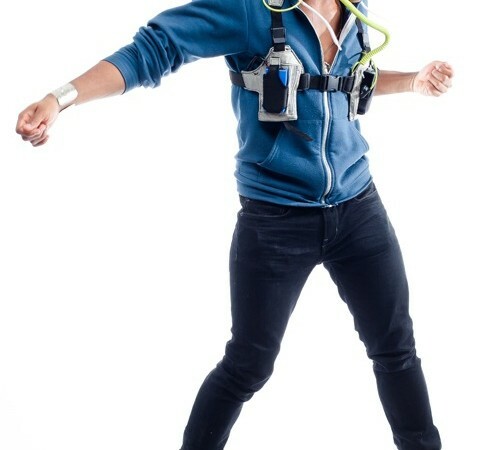 You can become a super early adopter of this bass-vest by kicking in $299. That’s really a reasonable price to pay to turn you into some kind of partying superhero. Somebody get Andrew W.K. on the horn.